The DeLonghi EC155 is a fairly well-built consumer pump espresso machine. It ships with a pressurized portafilter of a non-standard diameter, so finding a non-pressurized replacement is challenging. 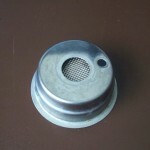 Instead of purchasing a new portafilter, depressurizing the EC-155’s portafilter is extremely easy. 6. 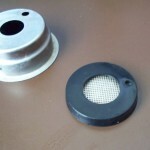 Note that oils and grounds can become trapped in the filter holder, so be sure to wash it often. You’re done! 2. 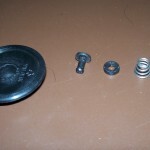 Using a pair of needle-nose pliers or a flathead screwdriver, pry off the plastic ring holding the pressurization nozzle together and remove the pin and spring. Warning: the spring might fly out and hit you. Don’t be pointing it at your face. 3. Re-assemble and use as normal. 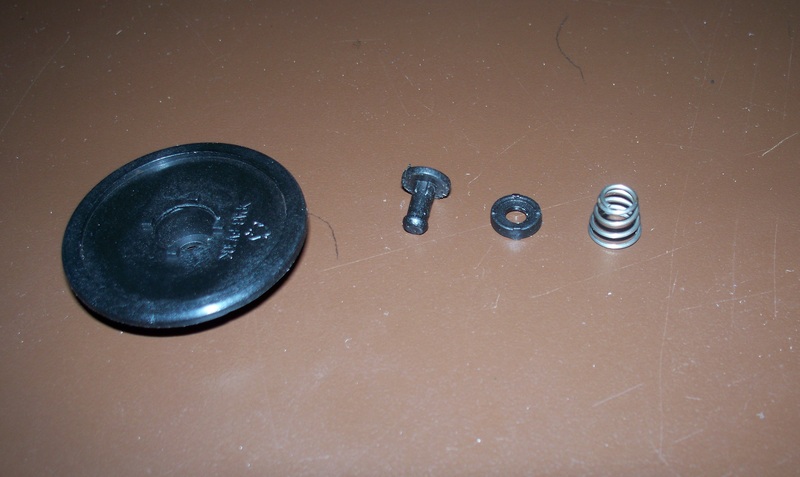 Save the plunger, plastic ring, and spring in case you want to repressurize it later. 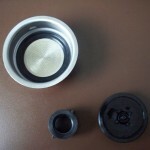 Have you been able to make better espresso with the depressurized portafilter? I haven’t noticed a huge difference in quality from the modification alone, but having a non-pressurized PF allows you to “troubleshoot” your shot much more easily by looking at the crema (no “fake” crema is produced). a) By depressurizing the portafilter, you obtain control over the crema that is formed, which will depend uniquely on two variables: on how fine or coarse the coffee has been grounded and the way it has been tamped. Is this right? 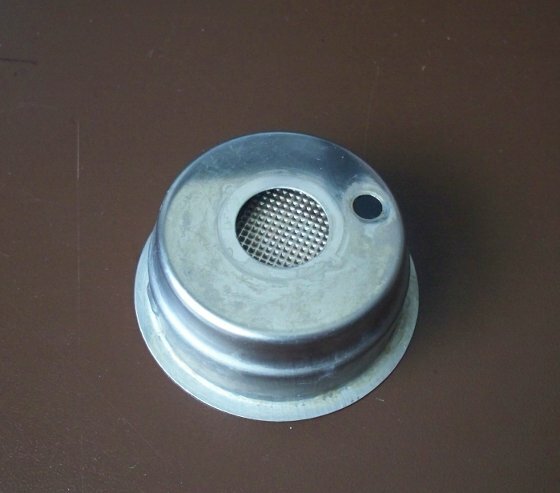 b)The size of the machine’s embedded tamper is 51mm, is this a standard size? I’ve bought by mistake a 49mm and it leaves too much space around the edges. Do you know where I could buy on the internet an adequate tamper? c)I see you’re installing a PID on the machine. What is it used for? (I’m a complete newbie at this) Is is to measure the temperature of the water at the boiler? The crema in espresso is dependent on many factors, but grind, tamp, freshness of beans, and temperature seem to influence it the most. I just created a post on parts for the EC155, it should answer some of your questions. PID is used to regulate the temperature of your boiler (see the wikipedia article for detailed info). It can help provide more consistent results, and provides another variable that you can change. Ethan, thank you so much for your quick reply, it’s been very helpful. If I ever find any additional information I’ll post it on your blog and at coffegeek, so we can all share the info. Cheers. I’m desperately looking for an alternative to the plastic tip that is screwed on the milk frother wand. I’ve seen on the internet, the following video: (http://www.youtube.com/watch?v=-Tu1Cim3HfU) where the poster clearly has managed to find a metal replacement, I’ve already asked him the same question, I’m waiting for him to answer. I’ve you ever find a solution, could you please post it? The actual plastic tip is very difficult to clean, and if it isn’t done correctly the hole will get stuck with stale hardened milk, creating an erratic behaviour of the wand. Let me know if you find any more information, that plastic tip gets really annoying. I’ve looked around a bit, but I haven’t found anyone who’s posted information on what tip/wand they used… I’ll put more info up on my resources post when I find it. Don’t know if you’re still looking for an answer but I’ll take a shot. I haven’t actually tried it yet. 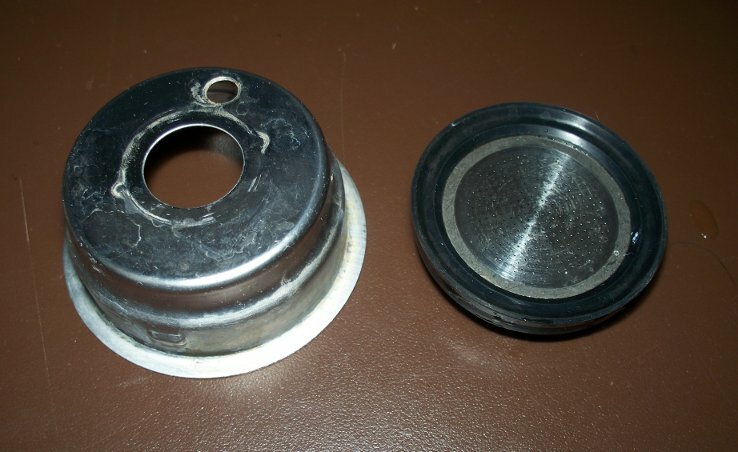 But in your hardware store’s nuts and bolts isle, you can find ornamental Victorian style lampshade nuts made of solid brass. I found one that is the better part of two inches long. I just need to drill it out with a 1/16th bit (should be easy because it’s brass). Oh yeah it’s 1/4inch thread, rather than the 6mm metric but it’s a really really close match in thread pitch so I think with a little teflon tape it will work like a charm. 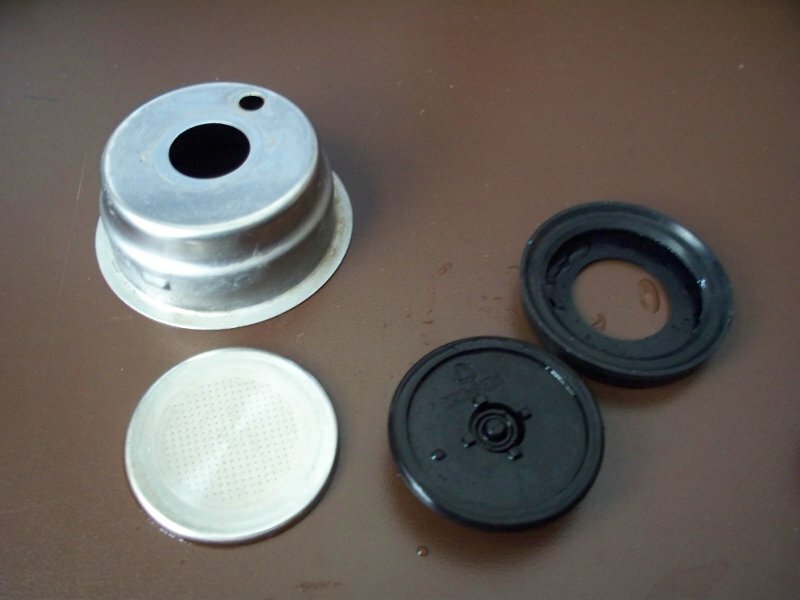 I have a second hand deLonghi EC410, and have searched several times for information on how to depressurise the portafilter. This is the first place I have found that information. The portafilter on the EC410 appears to be identical to the one on your machine. 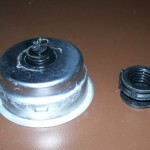 I was unfortunate enough to have the plastic in the pressurising unit corrode through while in use. Needless to say, coffee went everywhere! When I tried to unscrew it, the whole unit came off in my hand. I tried the non-permanent method you outlined here for removing the pressuriser, but found that the small gap left without the plastic pressurising unit caused the filter plate to move slightly when tamping, making a good, firm puck impossible to form. I then put it all back together, and looked at the more permanent method. As it turns out, the way the pressuriser broke off gave me effectively the same outcome as the method you outlined, with the obvious exception that it is not reversible. The coffee I get out of the machine is also much smoother, and the crema far nicer. Thank you for posting this how-to! This is a great solution for many other delonghi machines with the same filter, I have implemented this for my ec702 and it has improved results. I have yet to get the thick crema seen in pictures but maybe I’m new and need more practice and tips. Thanks for this post. I wanted to write and thank you for your blog entry as it allowed me to fix my ec155. Basically little or no espresso was coming out, even after a thorough cleaning. Before reading your entry I wasn’t even aware that that plastic disc was to provide back pressure. This made me wonder if this was the source of the problem. So I took out the pressure plate and sure enough espresso flowed through like new. Except now no crema, so I put the plate from the small portafilter (which we don’t use) into the large porta filter, and success. If I get ambitious at some time I might take the faulty pressure nozzle apart (as in your “permanent method”) and see if it can be fixed/de-gunked. In the meantime I’m very glad to have a machine back working! I did the non-permanent option, and I ran into an interesting issue! I had a small batch of coffee that was too finely ground, causing some low-volume shots, and it seems that the pressure of the pump actually caused the metal disk to deflect a millimeter or two. I found out while switching to the “permanent” option, and the metal filter disk no longer fit as snugly into the plastic pressurizer piece (well, the erstwhile pressurizer piece). We’ll see if it affects the shots, or if the metal filter bends back into its previous shape. I’m looking to get a new basket in any case. Thanks for all the instructions! The EC155 is a great little “starter kit” for espresso. I’m very new to making espresso this is my first real machine. After watching some videos on youtube it became clear to me the pressurized filter isn’t allowing this machine to work to its full potential. 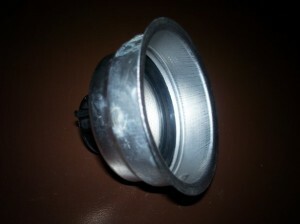 So I de-pressurized my porta-filter non permanent method for now. Unfortunately I am yet to have any luck with this method, I’m not getting any crema in my pulls (it just looks like black coffee). I’m hoping my technique is flawed, (maybe I just need to tamp harder). What experiences have others had with managing to pull better espresso without pressurization? If the coffee comes out right away, then chances are it’s either not ground fine enough, or not tamped enough. Just about any tamper other than the one actrually on the maching will work better….That thing bends rather alarmingly if you try to tamp it down properly. Been researching a lot of stuff, I have a Delonghi EC330S which uses the same portafilter. I have managed to get a full depressurised portafilter by unscrewing the plastic bottom, and sawing off the small metal part at the bottom. I replaced the basket with one from http://4ourhouse.co.uk/cgi-bin/home.pl I bought two one was for a double shot and one for a treble shot I think. My problem at the minute is that it pulls too quickly giving me quite a watery shot. I have ordered a good tamper to try and fix this as the plastic one is bad. I would love to customise the steamer but finding a replacement for it is proving difficult. I had exactly the same problem as Warren using the EC155 after applying Ethan’s “non-permanent method”. I tried to remedy it by grinding my coffee extremely fine – probably a tad too fine for espresso – and tamping as hard as I dared without damaging the filter disk. This successfully increased the extraction time for a 2oz shot to ~24sec, but while the resulting espresso was neither too strong nor too watery, it had an unpleasant taste to it. As the disassembled crema device in Ethan’s pictures appears to be nothing but a simple pressure regulator, I strongly suspect that the pump delivers its full 15bar directly to the portafilter, relying on the crema device to regulate the pressure/flow. In the end, I put the crema device back and I’m getting pretty good espresso again – I guess that if one is really passionate about pulling the perfect espresso and using the crema as visual feedback, one should by a higher-end machine with a pressure regulator *before* the portafilter. Me, I’m happy with my maybe-not-perfect-but-pretty-good espresso with fake crema and all. It’s still better than what you get in a lot of mainstream coffee places. 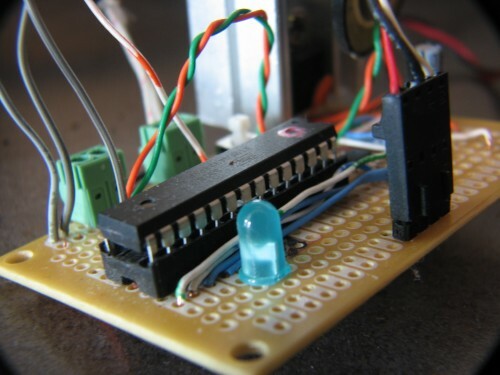 But hey, it was a fun and instructive experiment, and I never would have thought of it if it wasn’t for Ethan’s blog. I’d add that if you’re having trouble with it entirely depressurized, you can partly depressurize it by weakening the spring. Just pop it apart via the “permanent” method, get some heavy duty wire cutters, and clip off a coil on the smaller end, and reassemble. It cuts the backpressure by about 25%, and makes for a slightly drier puck. The advantage is that you can use a coarser grind (Like if you’re stuck using a storebought pre-ground coffee, rather than grinding your own.) than you should for espresso, and still come out with a decent shot. However, I find it much the depressurised shot mixes much better with steamed milk, allowing latte art. With the pressurised unit the artificial cream foam doesnt seem to mix with the milk at all. These are great photos, but they raise a question for me. 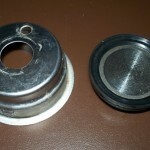 I’ve mixed up the internal parts of my single and double sized filter holders. The rubber gaskets are not the same size. Can you clarify whether the shorter of the two belongs to the double or the single? From the above, I think I see the short one inside a double holder, but I can’t quite tell. Thank you. I actually just upgraded from my EC155, but if I remember correctly, the short one went in the double holder. Good luck! Thank you. The worst that happens is more caffeine, right? Good luck with your new machine–you appear to like machines! I think it’s important for people to recognize that the “permanent” mod is NOT permanent. In fact, it may be safer for your equipment than the “non-permanent” mod. 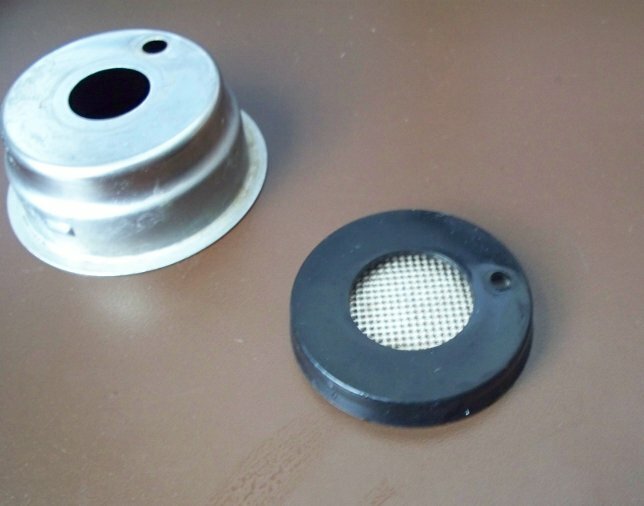 I used the “non-permanent” mod for a couple weeks, and like Jeremy M, my metal filter disc is now dished/bent/warped, either from me over-tamping or from the machine’s pressure. It probably doesn’t affect the shot, but it’s still something I would have rather avoided. 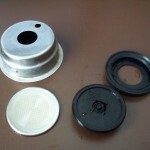 Luckily, the single/double shot metal filter discs are interchangeable. 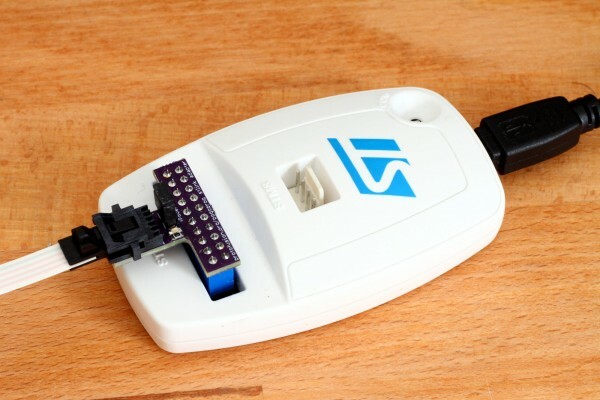 The permanent mod is perfectly safe and completely reversible. Just try not to mar the disc when you pry out the pressurizing ring. thank you! this was the most fun and useful info on espresso machines i ever read. worked like a dream. i owe you a cup of espresso. love the way the machine works to produce real crema now. bravo! 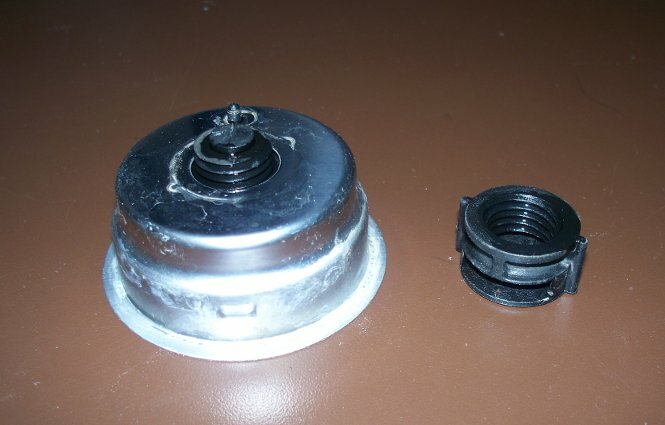 Thanks to this post, I was able to disassemble my blocked pressure valve. Cleaned it and assembled. Fixed. Thanks for this thread. I’m experimenting as well and I’d like to suggest a new temporary measure. When pushing the intact plunger down, I realized there was room to wedge something in there to keep it in the open position. If you cut the “U” out of the small end of a regular paper clip you can hold the plunger in the open position and push the U into place, thus forcing the plunger to stay open. I’m experimenting with it now and so far so good. Hi, I have a de Longhi Dedica espresso machine. The filter holder was initially a tight fit, quite some force needed to lock it in position. Recently, it has become really loose, so loose that the pressure build up in the filter causes it to rotate and fall off, even when no grounds are in it. It audibly pops if you remove it by hand. I have thoroughly cleaned everything but to no avail. This is a 5 month old machine. Any ideas? Seven years later this still is some good advice. The espresso I get from this machine now really improved. Better crema, better espresso over all. I use simply the lavazza that comes in black cans, nothing fancy. Thanks a lot for this great mod instructions, I was about to sell it and go back to a stove bialetti. Glad this guide was still useful for you! I got rid of my EC155 a few years ago, but got some surprisingly good results with such an inexpensive machine and this mod. Would anyone try the basket of Ecp31.21 ?? UPDATE: I’ve run into the same problem as 2 earlier reviewers had using the ‘temporary’ method getting little crema & a bad taste. I believe what ‘GvySmily’ said about the screen warping was correct. Apparently the rubber gasket doesn’t allow a flat surface because it has a lip that holds the screen. So using the plastic plate for support is necessary so the metal screen won’t warp from pressure. Yet watching YouTube I see them using the ‘temp’ method & pulling award winning shots. – So go figure! We’ve been using our same machine since back then. We still have the bent disc but don’t use it. In fact, we went back to the stock pressurized setup because we realized our coffee and tamping technique were still the bigger variable. To tell the truth, the biggest difference came from changing coffee (and I’m ashamed to admit that we’ve settled on Lavazza but it’s really the best coffee we’ve found), and storing it in a true vacuum pump sealed container. As I mentioned, we’re just now considering getting into tweaking the machine again, and I’m starting with the steam wand since the aerator tube is lost anyway. 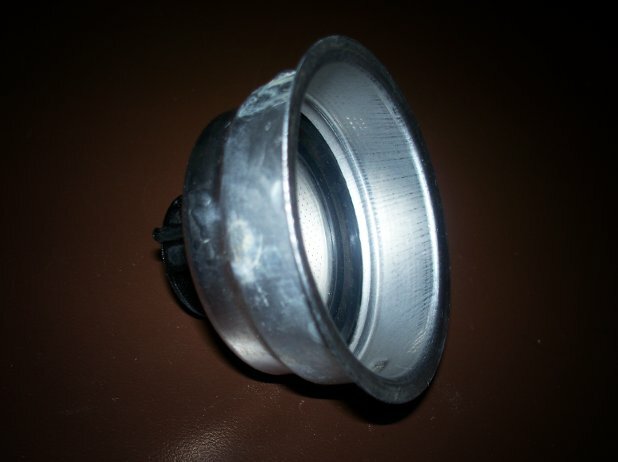 As for the naked portofilter, I’m thinking about trying the mod with the disc flipped upside down and cutting down the extra rubber flap (a true permanent mod). It might be nice to increase the volume of the small basket this way too. Another newbie comment 8 years out. Thanks for this very helpful blog! I inherited the EC155 for free and bought myself a nice grinder (used mazzer mini) to start my espresso journey. I knew that the pressurized PF would not be the best option, but for free I took it and made the modifications here (the permanent one). I am very new to pulling espresso. How do a alter how I use the machine now that it’s not pressurized? Before it was on, wait for the temp., and turn it on to pull until the volume I wanted was there. Now that it’s not pressurized, do I have to “time it”- what does that mean? I watch a lot of coffee gear videos and keep hearing that with pressurized PFs you don’t have to “time it”, so now that it’s not pressurized- what do I do?! Probably it was not “time it”, but “tamp it”? With pressurized filters tamping is not necessary, however it’s better to tamp. Overall the proccess of pulling a shot with PF and unPF is the same. 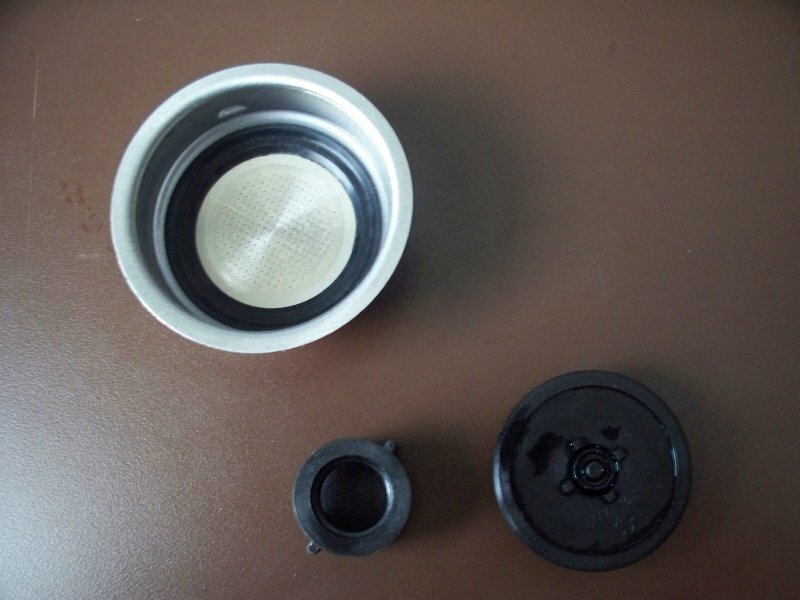 However the latter one requires more skills – with unpressurized baskets you should choose the correct grind level and tamp the coffee in such way that the coffee puck itself would limit the pressure (because you don’t have a magic pressure limiter in the filter anymore). The trick is to create a bed of coffee with even density. Otherwise the water will run too fast or not through all coffee and espresso would be spoiled. Thanks for the tip on modding the EC155. Just did it. No crema, but I’ve obviously got to change my grind and tamping to adjust to the lack of pressurization. Better espresso taste. Like the mod.